What is the most important condition for reaching the success in every sphere of human activity? No doubts, it’s motivation. Since our team was built in 2002, we don’t see any other result of every competition except victory. This desire to be the best led us forward, don’t let us give up, forced us to develop new cars and technologies. 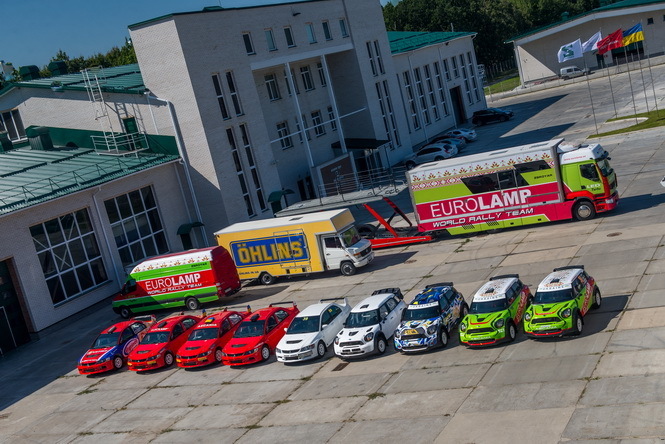 Now Eurolamp World Rally Team is going through probably the most interesting period of its life. On the one hand, we are still motivated for new victories which are still hard to reach. On the other hand, the volume of our knowledge and skills now is so big that we have to share it with those who don’t have our experience, but also looking for success as strong as we are. We know what success is and understand the secrets of its components, from the construction of a sports car to development of the racing program for several years. At the same time, we continue to learn every day, always getting better and more professional. Win and help others to win – these are the basic principles and goals of the Eurolamp World Rally Team.